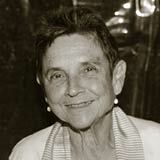 Adrienne Rich’s most recent books of poetry are Telephone Ringing in the Labyrinth and The School Among the Ruins. She edited Muriel Rukeyser’s Selected Poems for the Library of America. A Human Eye: Essays on Art in Society, appeared in 2009. “Confrontations” will be included in Tonight No Poetry Will Serve (Norton, 2011).